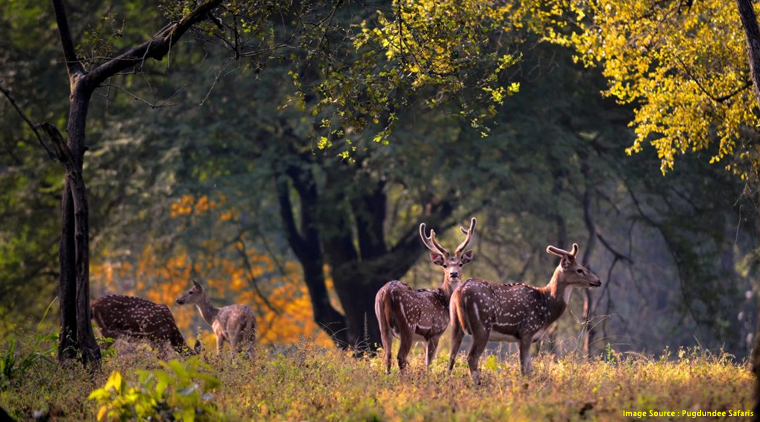 Located in the ‘Maikal’ ranges of Central India, the Kanha National Park is an internationally renowned park of India. The massive Kanha National Park and its tiger reserve spread over an area of 1940 square kilometers in the shape of a horseshoe. It is a common belief that Kanha National Park has been the inspiration behind Rudyard Kipling’s well-known classic Jungle Book. Your 3 days Kanha Nagpur tour package takes you to witness the diverse species of flora and fauna existing here. Apart from tigers, one can also see the highly endangered, Barasingha. Created by combining two wildlife sanctuaries, Hallon and Banjar, Kanha National Park is subdivided into four core zones and six buffer zones. The Kanha National tour package from Nagpur lets your experience this national park at its utmost best and promises you enthralling experiences. Upon arrival at Nagpur, commence your 3 days Kanha tour from Nagpur with a comfortable drive of 285 kilometres which can be completed in a duration of 6 hours. 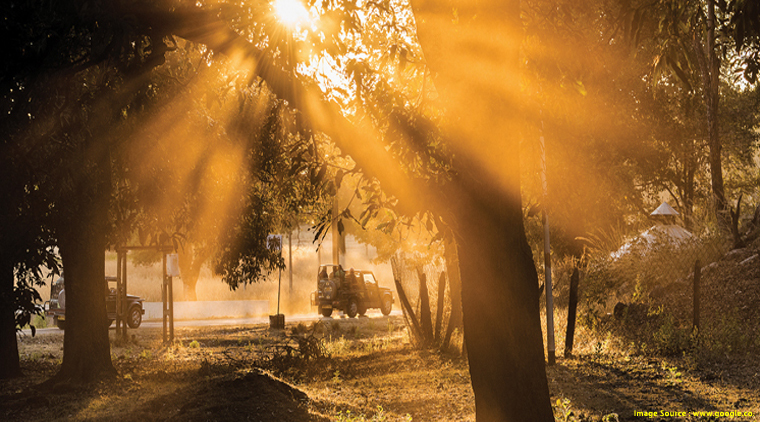 Upon arrival at Kanha, check-in at your accommodation and freshen up. Head to Bamni Dadar known to be the highest point at Kanha. Bamni Dadar overlooks the majestic Kanha and offers mesmerizing views of the sunset. Make sure you click lots of memories here of the Kanha National Park tour package. Alternatively, Enjoy the first evening of the Kanha National Park tour package with a walk around the resort and the local area. Explore the bird watching excursions in and around the accommodation. 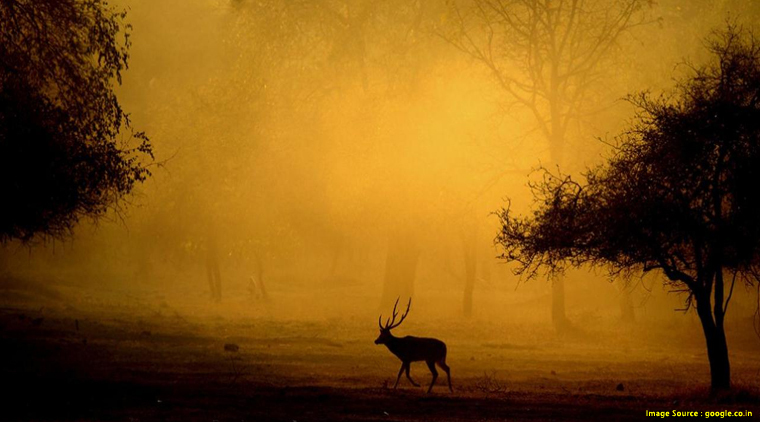 Head out for an early morning safari on your Kanha National Park tour package. The wildlife safaris take you through open grassy meadows where you can find numerous animals such as blackbuck, chital, hyena, leopard, jackal fox, gaur, jungle cat and many more. Enjoy a lavish breakfast on your return. You can either choose to have a relaxed afternoon at your hotel or head out to the Kanha museum displaying beautifully sculpted structures. A short ten minute forest show is hosted at the Kanha Museum which is a must watch for all tourists. Later, your Kanha National Park tour package takes you for another captivating open jeep safari through the lush wilderness of the Kanha region. Head out for another early morning wildlife safari on this last day of your 3 days Kanha Nagpur tour package. A sumptuous breakfast awaits you before you pack your bags and check-out. 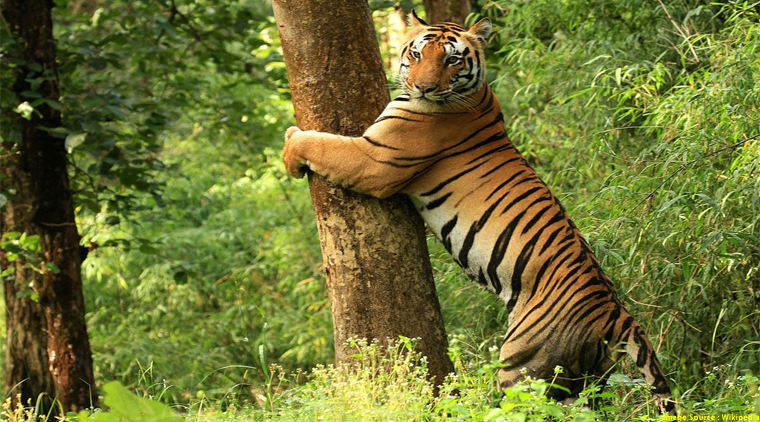 Commence your drive towards Nagpur as you end your Kanha National Park tour package. You can opt to take the Kanha National Park tour package in the months of October to June. Summer (April-June): Most of the vegetation at the Kanha National Park dries up during the summer months, thus making tiger spotting an easier task. This is an ideal time for wildlife photographers who wish to capture some rare photographs. Monsoon (July to Mid-October): The monsoon months are not advisable for your Kanha National Park tour package as the roads in the area are not navigable during this period. Winter (November-February): The winter months are an excellent time to opt for as the nature and vegetation at the national park is rejuvenated post the monsoon. A lot of migratory birds also visit the park during the winter months, thus it is the best period for bird watching. Note: Book well in advance to ensure you get cheap packages at Kanha. The afternoon shift of jeep safari to the national park remains closed for tourists on every Wednesday. Make sure you do the Kanha jungle safari bookings in advance to avoid last minute disappointment. Note: Avoid carrying bright colored clothing for your Kanha National Park tour package as bright colors can disturb the animals. The fees are valid only for one zone. 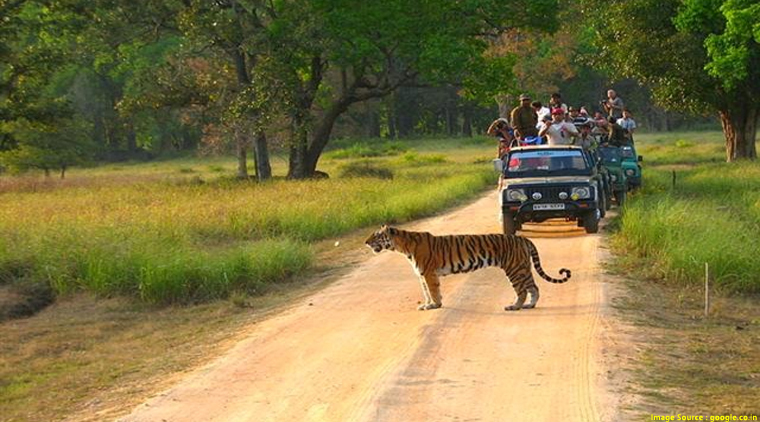 Each jeep contains six people in your Kanha National Park tour package. Guide fees and vehicle hire fees are distributed equally between guests in the vehicle.